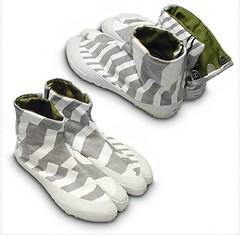 Remember the “Tabi” type shoes from the Martin Margiela boots or Nike sneakers lines? 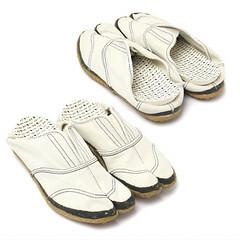 There is more than Kimono for Japanese traditional clothing, and “Tabi“ is one of them. I am looking for 10 000 pcs of ladies modern type Tabi. I have a picture of a pair I like in particular – can be send over.